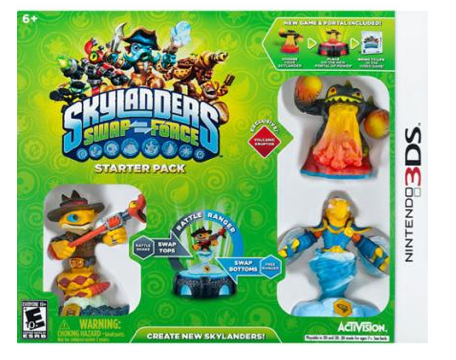 Skylanders: SWAP Force Starter Pack - Nintendo 3DS Just $19.99 (Reg. $54.99)! You are here: Home / Great Deals / Skylanders: SWAP Force Starter Pack – Nintendo 3DS Just $19.99 (Reg. $54.99)! Skylanders: SWAP Force Starter Pack – Nintendo 3DS Just $19.99 (Reg. $54.99)! Hurry – this may not last too much longer! You can currently snag Skylanders: SWAP Force Starter Pack for Nintendo 3DS for just $19.99 (Reg. $54.99)! Plus, you can select store pick up to get FREE shipping if available in your area!